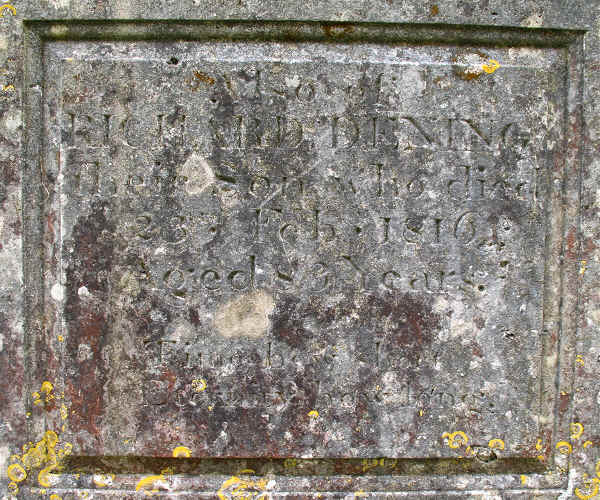 Richard Cranmer Dening - The Dening family vault, Ottery St Mary. Richard (Tim) Dening could trace his family tree back to the late seventeenth century. At this time, the Denings lived at Pitt House (built 1600, now Pitt Farm) near Cadhay, 2 miles from Ottery St Mary, Devon, UK. Records show they lived there from 1690 (and perhaps before that) to 1878. The Dening Vault was built in the 17th century as a last resting place for members of the family. 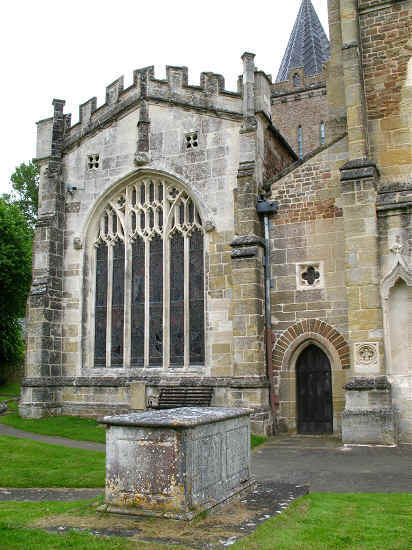 It is located on the north west side of Ottery St Mary churchyard in Devon, England. 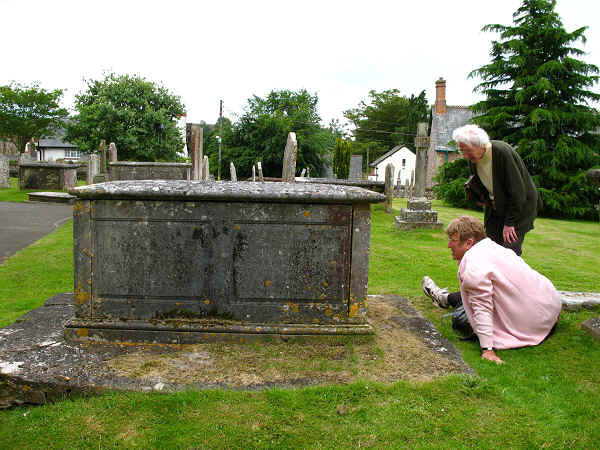 and her mother, Betty Dening, examine the vault. The 'Church' End of the Vault.